Are you a Pinterest enthusiast? Although this social medium is mainly used by women, men are equally showing interest in this today. Here you will get pins for all kinds of weird, quirky, beautiful, scary, funny, useful, and instructive things. We know that women are famed for their shopping instincts and Pinterest is undoubtedly a place to communicate with this gender as it is the ultimate place for window shopping. Below are some Pinterest examples for your use. This Travel Pinterest is a PSD that sizes 735x1100px. It helps you to provide a better customer experience and plays an increasingly important role in the customer journey. You can bet on this template. A marked difference between Pinterest and other social media like Facebook and Twitter is that Pinterest is organized by interest. This Business Solution helps you gather some inspiration. 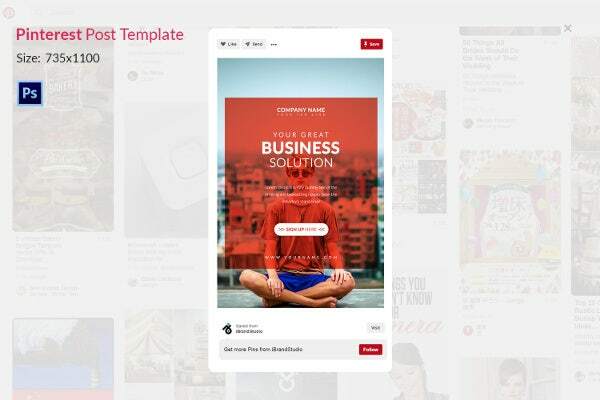 This Pinterest template could be a complete solution for your business. After all, Pinterest is a solid driver of traffic to your site. Pinterest provides price forecast; users are notified by e-mails about what they have pinned in and the prices related to that. 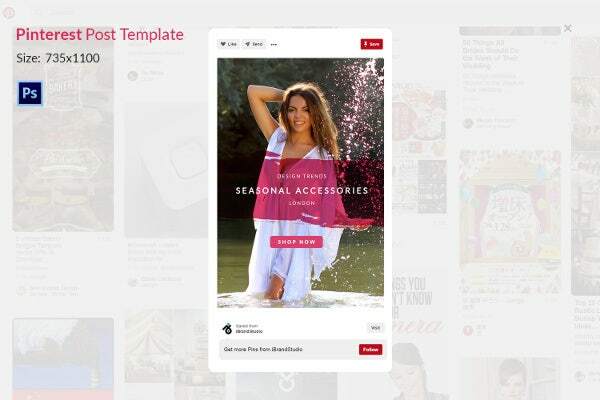 On Pinterest, you can promote your fashion brands and announce offers on them. Of course, there’s a lot more to it. 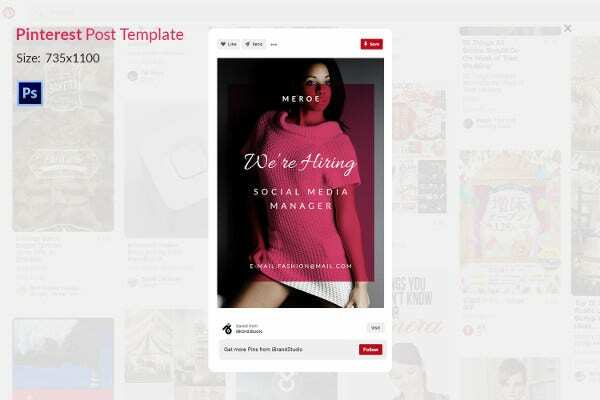 This template aims to give you an understanding of Pinterest pins. If you are a fashion designer or a photographer, you will definitely find this Pin to be great. Promote your winter collection with this pin. 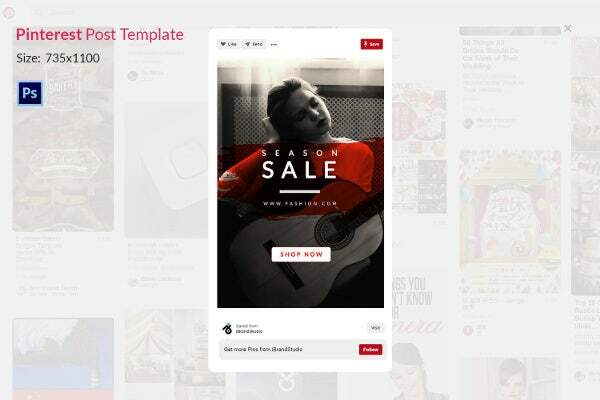 Spread your brand further in the Pinterest world. This helps you to promote your seasonal sale offers. This template is highly editable and hence you can change the image easily. You can use it whether you are into baking cakes or fashion trends. This is for those who trade seasonal accessories such as scarfs, desert boots, socks, long johns, hats, gloves, rain jackets, etc. It adheres to all the Pinterest cover photo rules. It sizes 735×1000. 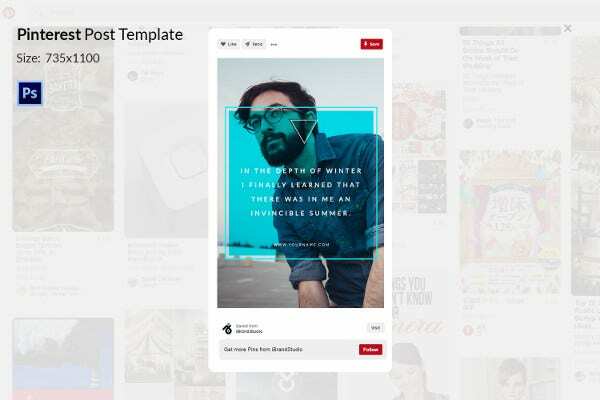 This expert certified Pinterest template covers a gamut of topics that are related to people’s Pinterest habits. Ramp up your existing marketing techniques and put this template in practice. Business is a game plan. So is the business proposal management. Are you into business proposal making? 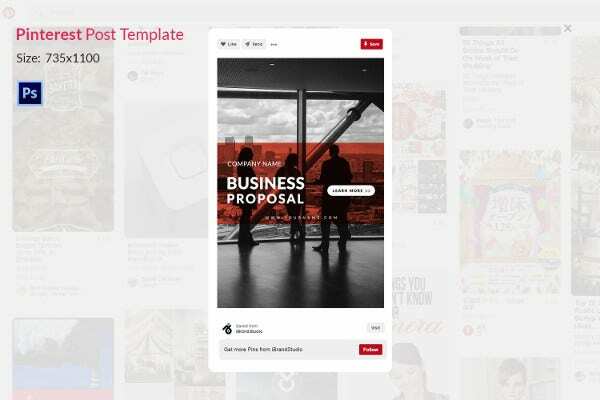 Then this Business Proposal template helps you make your presence on Pinterest without the help of any tool or software. Are you feeling shy to go Pinterest about your business? 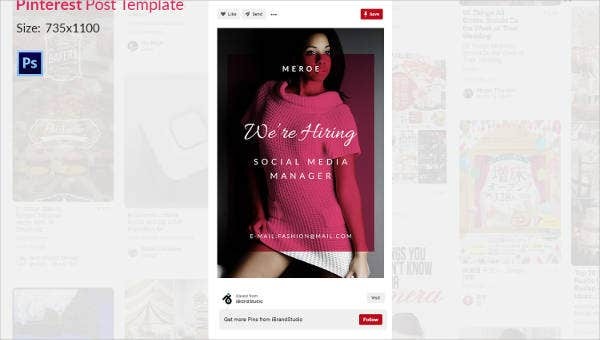 Shed off those inhibitions and use this Pinterest Post Template for your future projects. Thus you can use the pin-it button in a proper manner. Pinterest is the third largest social network in the world after Facebook and Twitter. It provides high conversion on your e-commerce page through price forecasts. It helps higher Page ranking on Google. 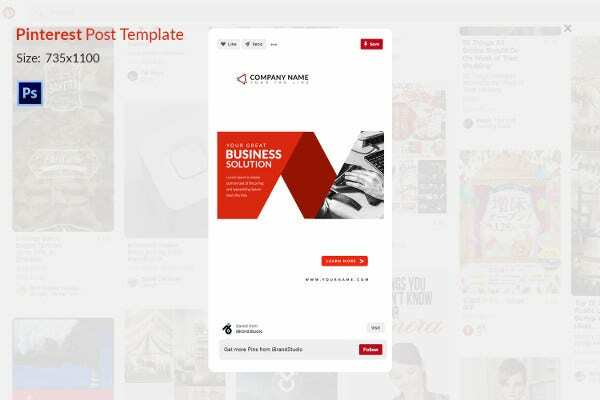 If you want to start marketing through Pinterest, the above templates help you greatly. You can use them to create brand awareness and to increase sales. Now make your web space pin-friendly. However, you need to think strategically while creating boards on corporate Pinterest page. For that, first spend some time to find out what people are concerned about. Then create something unique that best fits for your business. 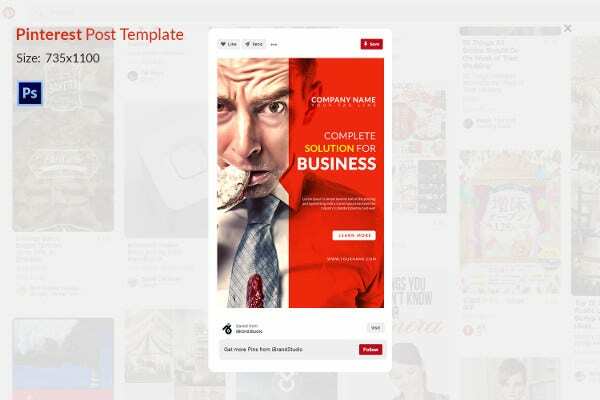 > How does Pinterest help your business? 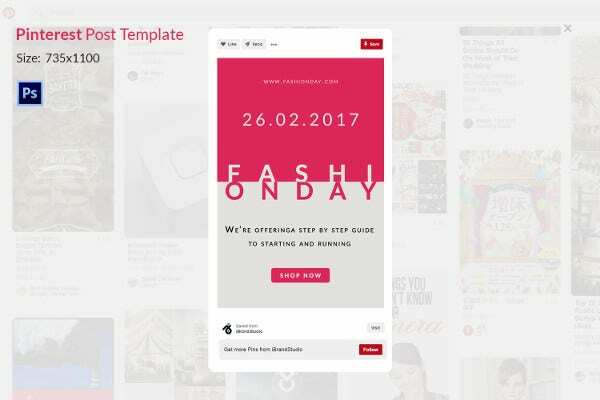 Pinterest is growing day by day and is a great tool for users to gather inspiration whether you’re baking a cake or redecorating the bedroom. It is very interesting that 59% of Pinterest users say they have purchased something they saw on Pinterest. Needless to say, it helps to create an extra hook for your business. You can easily be able to add substance to your Pinterest account. The large collection of themes covers all sorts of your interests. You can collect countless Pins and categorize them as you wish, and you can choose whether you want to make your own boards public or keep them secret. However, in order to quickly acquire followers of your Pinterest page, you need to use other social channels, emails and write blogs.